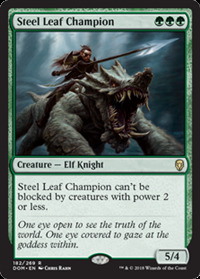 If the Lianawar elves are really in this set, this thing is going to be pretty nuts. Five power and can't be blocked by small creatures all for three green mana? Now that's pushing it.